The Reykjavik speaker by Vifa is small but nice, characterised by its timeless appearance and excellent sound quality. As small as it may seem, the speaker has a powerful sound thanks to its clever and carefully selected technology. Visually, it is reminiscent of a pebble that can be found in abundance in Icelandic nature. The speaker is available in two different models. The first version is a tribute to Iceland. Vifa wanted to imitate the cracked, foggy landscape of the island and therefore opted for a coarse, stone-like housing made of anodised aluminium with a Lavastone Black finish. The material makes Reykjavik robust and resistant, the perfect qualities for portable speaker. Thanks to the black leather strap, it can easily be worn and or hung up. 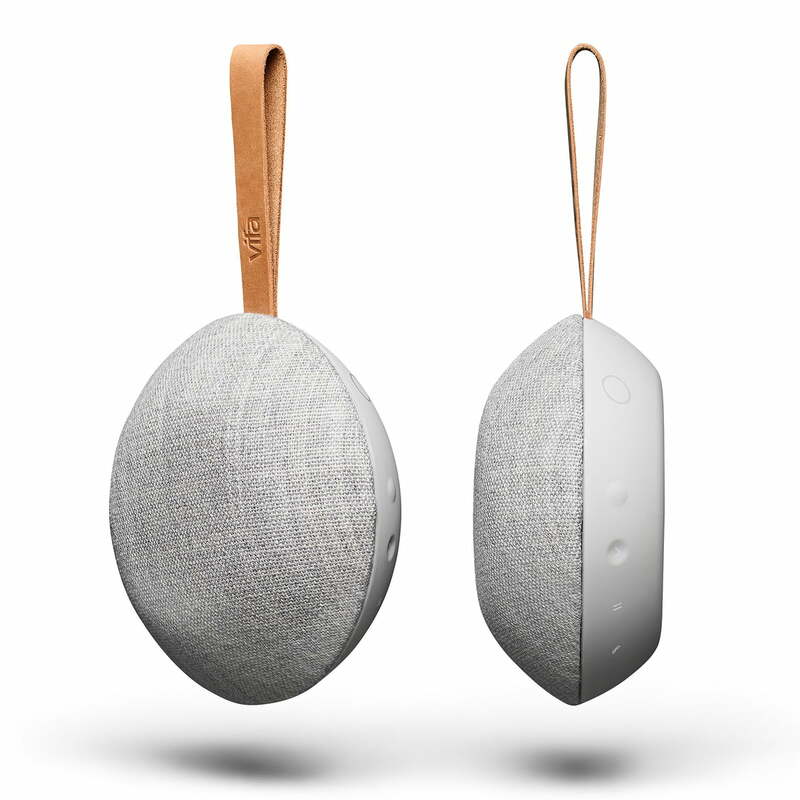 The second version of the speaker stands for the soft and gentle side of Iceland. Here the aluminium housing is covered with a high-quality Sandstone Gray material manufactured by the Danish textile manufacturer Kvadrat and a natural leather strap. 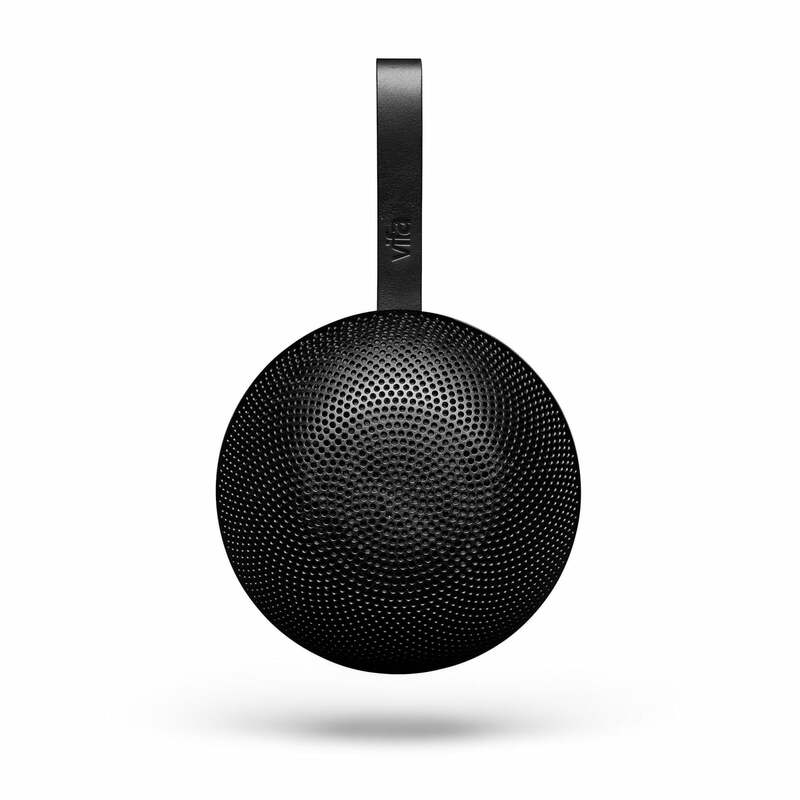 A long-lasting, rechargeable battery and Bluetooth connection allow for the best music to be enjoyed anywhere, anytime. Small design with great sound. 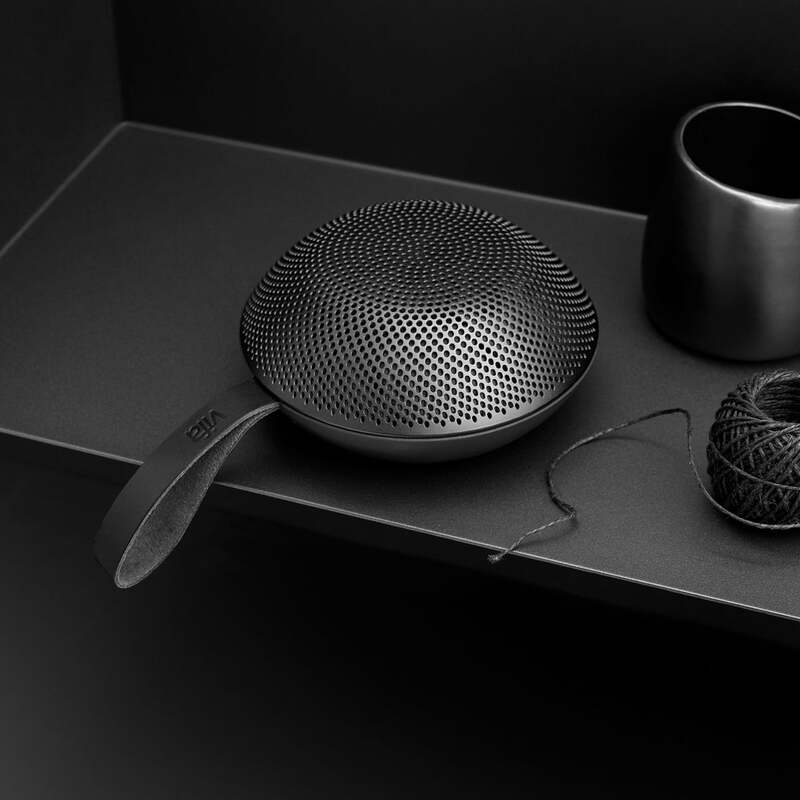 Isolated product image of the Reykjavik speaker by Vifa in Lavastone Black: The housing consists of anodised aluminium, the cover is made of wool and the strap is leather. Isolated product image of the Reykjavik speaker by Vifa in sandstone grey: The housing consists of anodised aluminium, the cover is made of wool and the strap is leather. 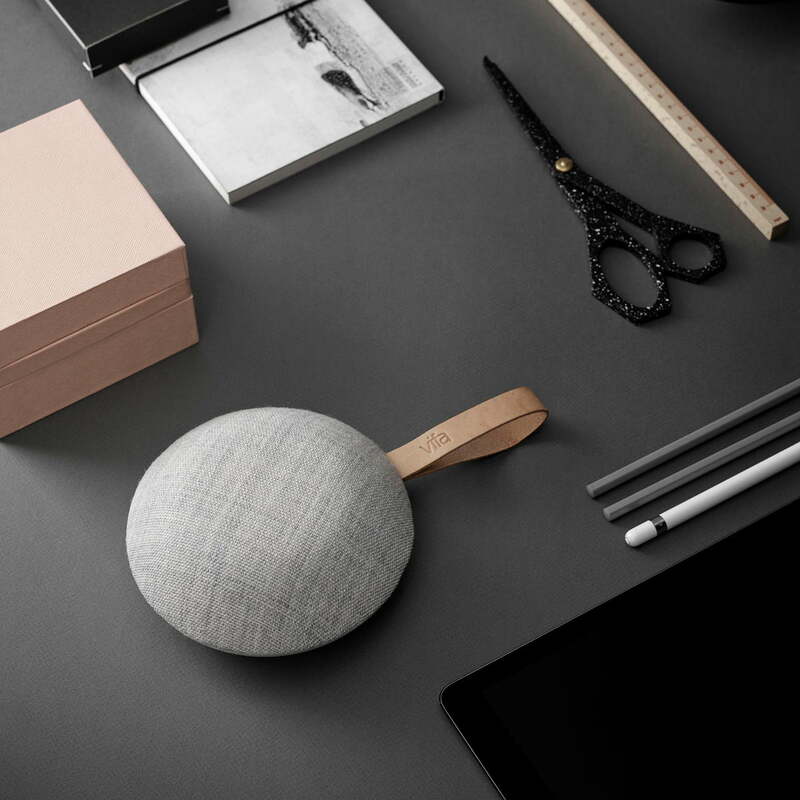 Reykjavik speaker by Vifa: The aluminium housing is covered with a high-quality Sandstone Gray material manufactured by the Danish textile manufacturer Kvadrat and a natural leather strap. 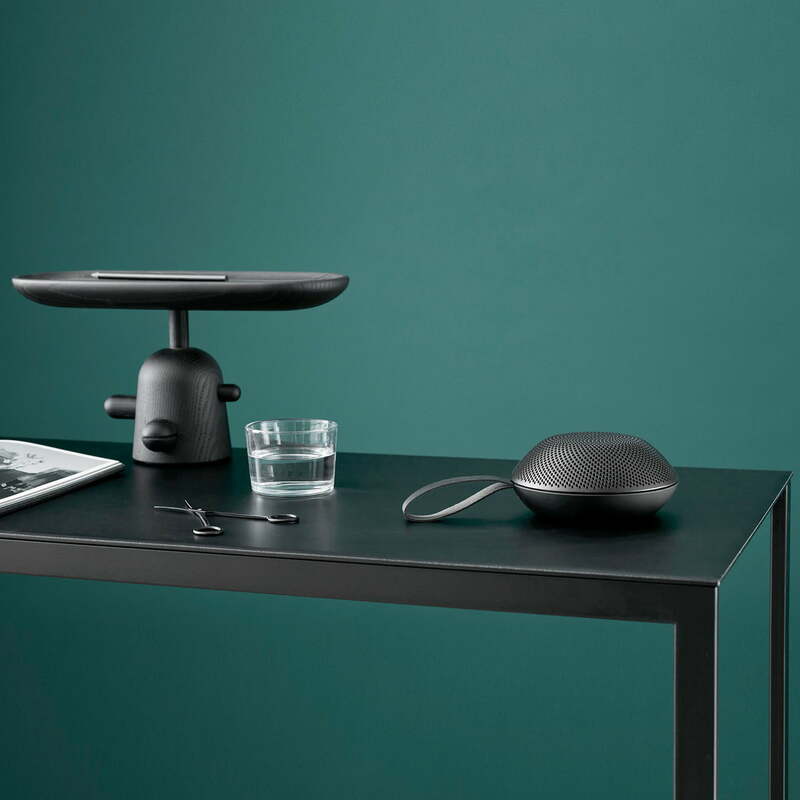 Lifestyle product image of the Reykjavik speaker by Vifa: The Reykjavik speaker by Vifa is small but nice, characterised by its timeless appearance and excellent sound quality. 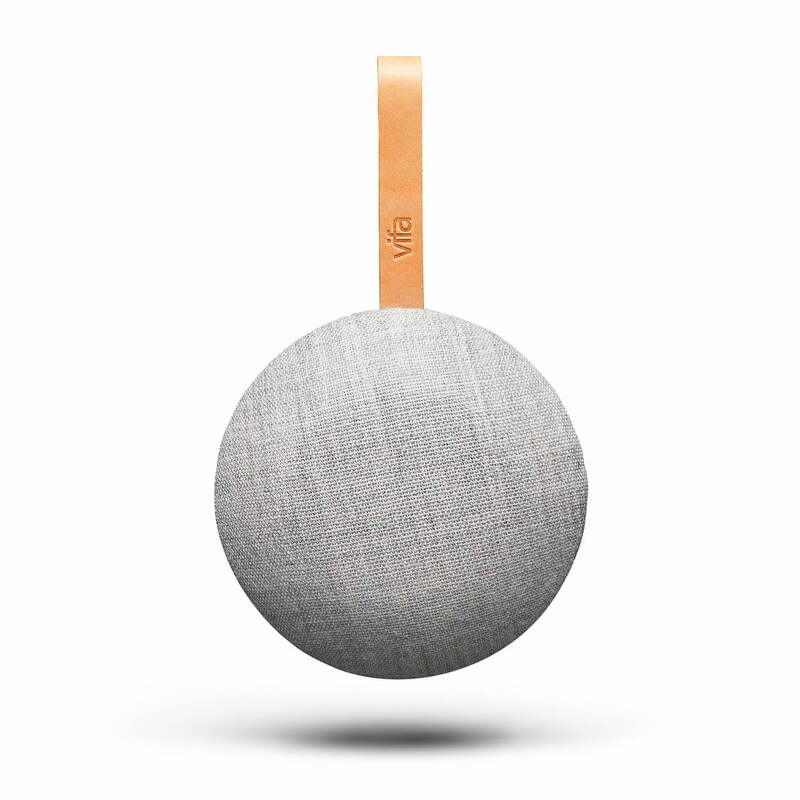 Product image of the Reykjavik speaker by Vifa is a tribute to Iceland. Visually, it is reminiscent of a pebble that can be found in abundance in Icelandic nature. 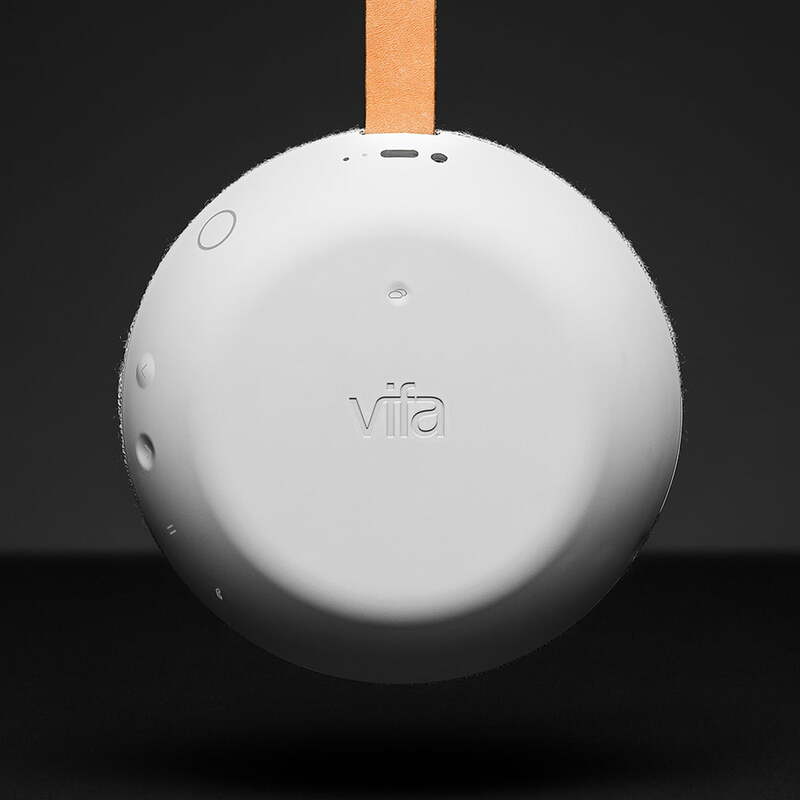 Reykjavik speaker by Vifa: A long-lasting, rechargeable battery and Bluetooth connection allow for the best music to be enjoyed anywhere, anytime. Small design with big sound. 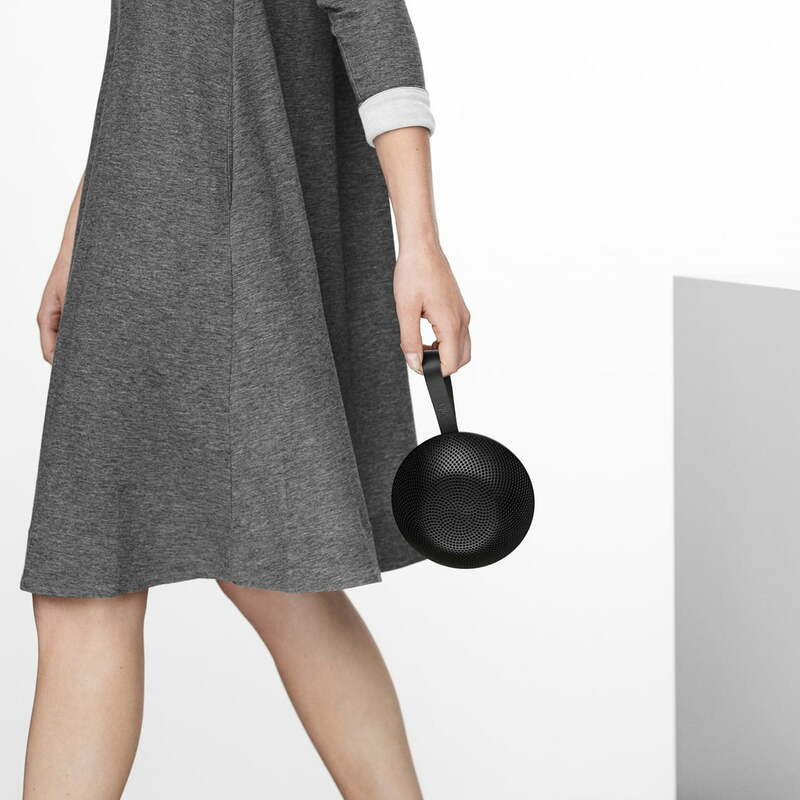 Lifestyle product image of the portable and versatile Reykjavik speaker by Vifa. Thanks to the black leather strap, it can easily be worn or hung anywhere. Vifa wanted to imitate the cracked, foggy landscape of the island and therefore opted for a coarse, stone-like housing made of anodised aluminium with a Lavastone Black finish. 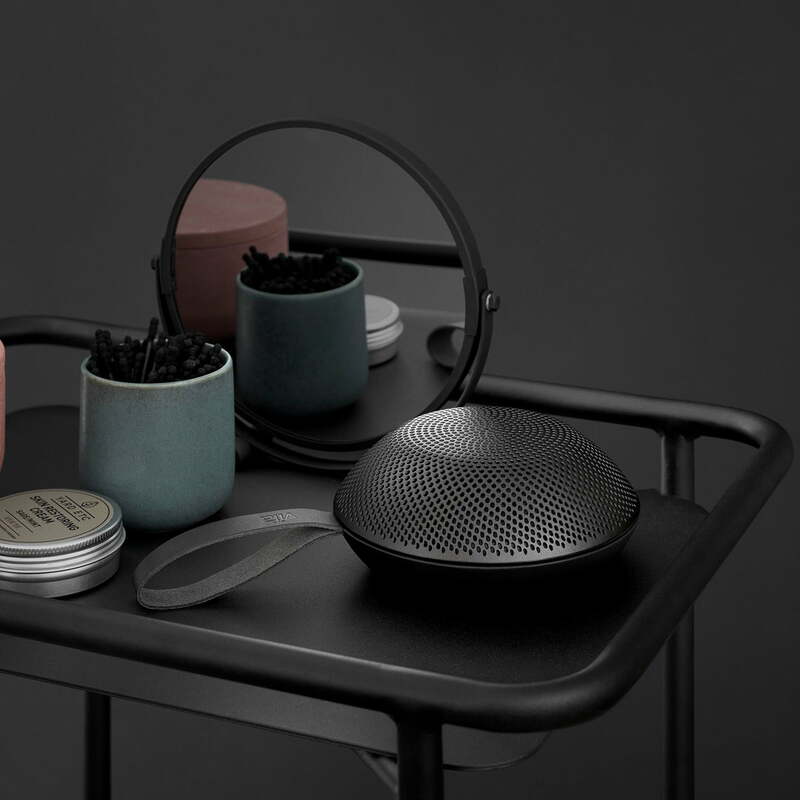 Lifestyle product image of the Reykjavik speaker by Vifa: The anodised aluminium in black makes the Reykjavik speaker from Vifa robust and durable, perfect for a portable speaker. 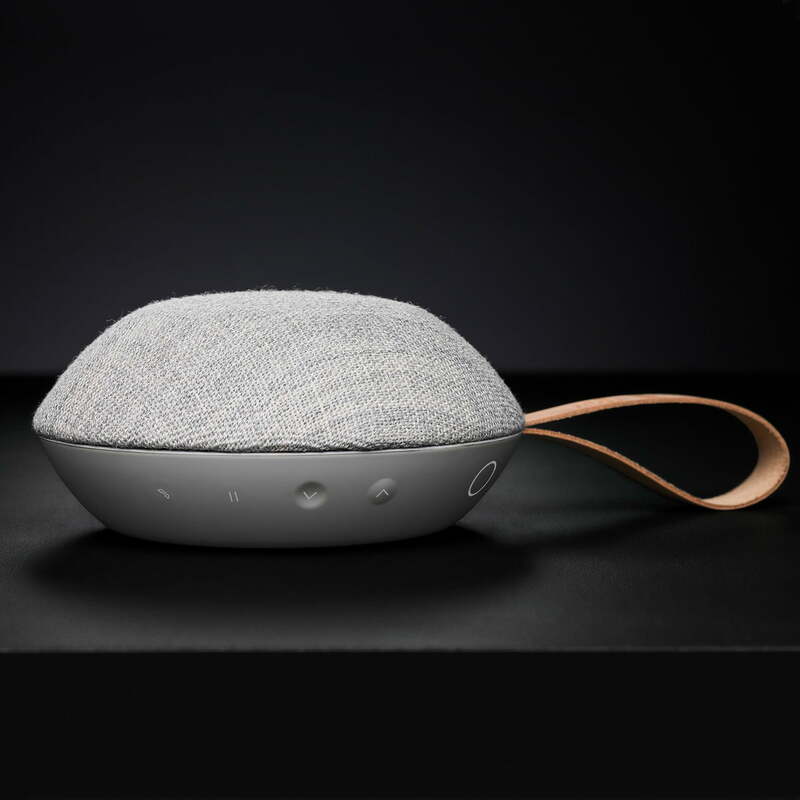 Lifestyle product image of the Reykjavik speaker by Vifa: As small as it may seem, the speaker has a powerful sound thanks to its clever and carefully selected technology.